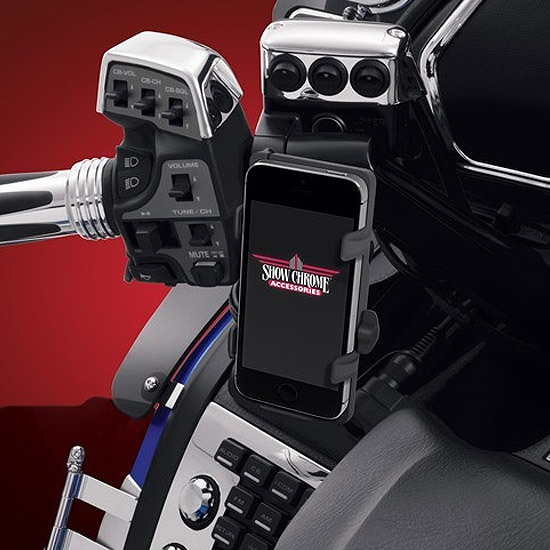 Big Bike Parts® introduces an all new Smart Mount for cellphones and GPS units to fit their existing handlebar and armrest mounts used with the Smart Mount Beverage Holders. 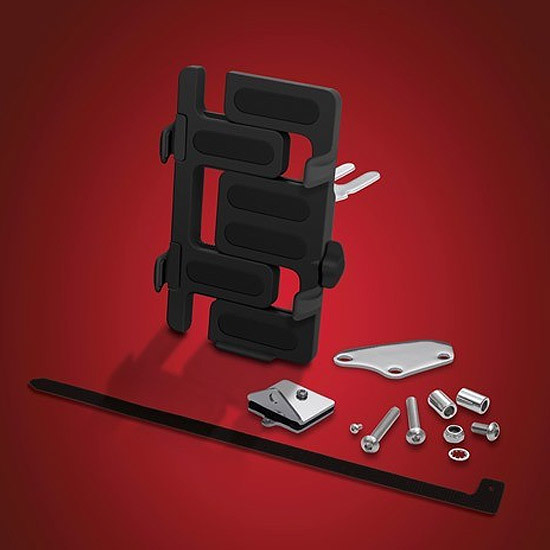 This holder accommodates most Smartphones and GPS units up to 3 ½” widewhen utilizing the included ½” expansion tabs. Rubber gripped back and foam side tabs hold your equipment securely in place. An additional single web strap is included for those that want a little more personal security on rough roads. 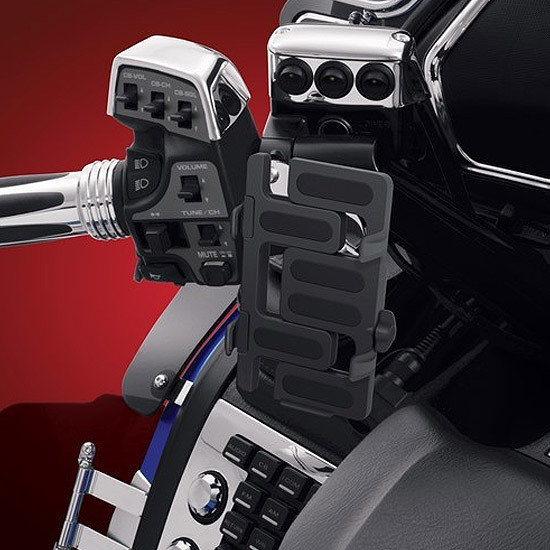 Available byitself to fit your existing Smart Mount Beverage Holder Mounts or sold with either a handlebar mount or armrest mount.